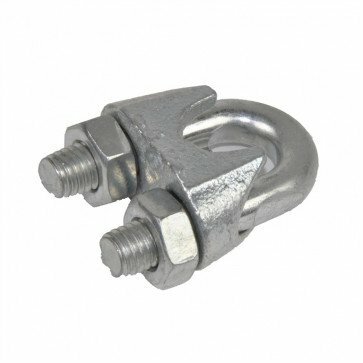 Our U Bolts or wire rope cable grips are suitable for either 10mm and 12mm diameter cables. Aerial Cableway Zip Wire Brake Spring In 1.5m or 3.0m Lengths. Sutcliffe Aerial Zip Wire Cableway Rubber Seat Supplied With Fixing U Bolts Nuts And Washers.